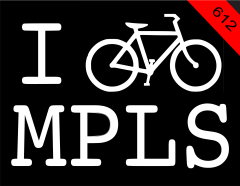 Opening night is Saturday, June 28th at One on One Bike Studio from 7-10pm. 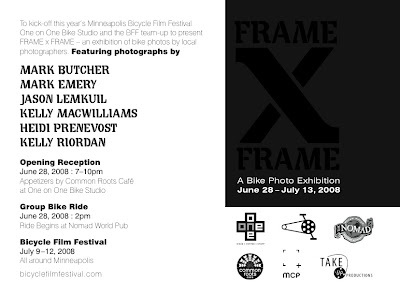 Join the group bike ride at 2pm that day starting at the Nomad World Pub - the ride will end at the photo show. Food from Common Roots? Come on, you have to go. Begins at Nomad World Pub, 2pm. Ends at One on One.